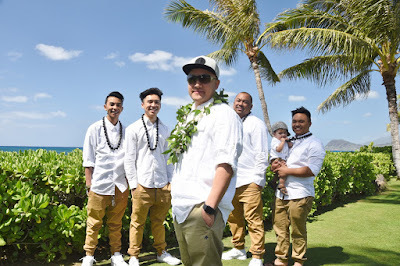 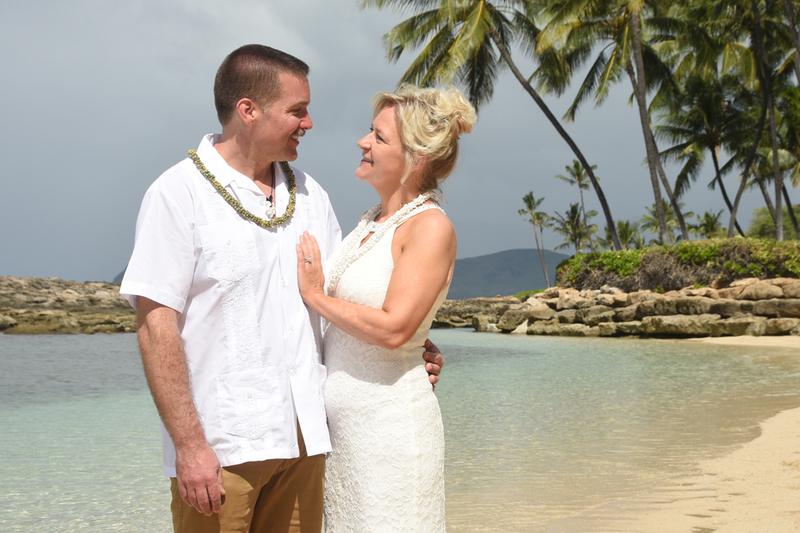 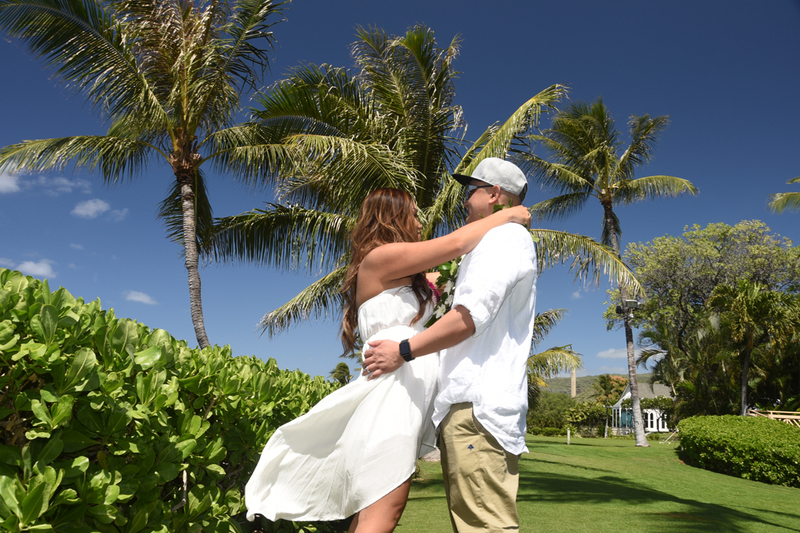 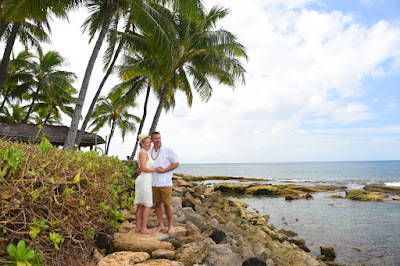 Ko Olina is a great place to get gorgeous scenic photos on your special time in Hawaii. 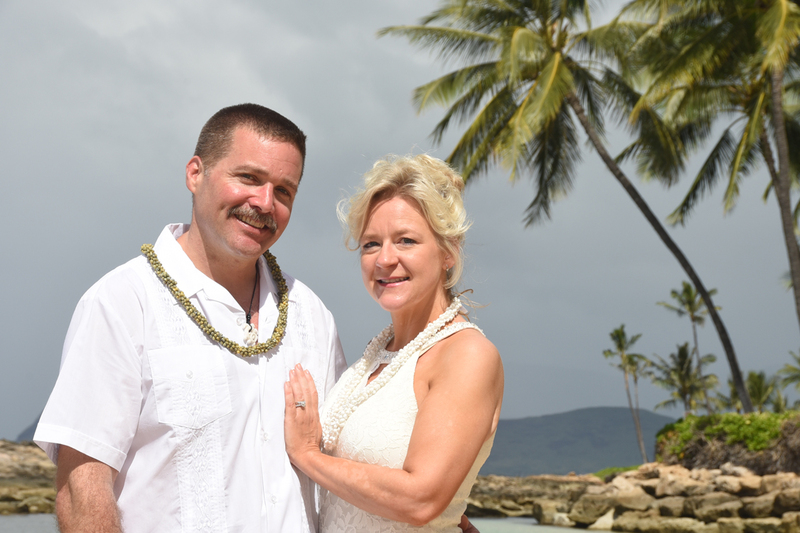 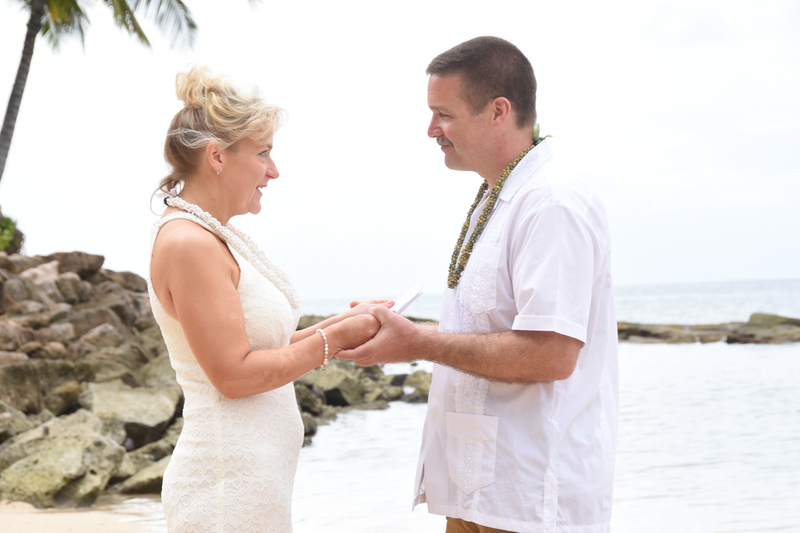 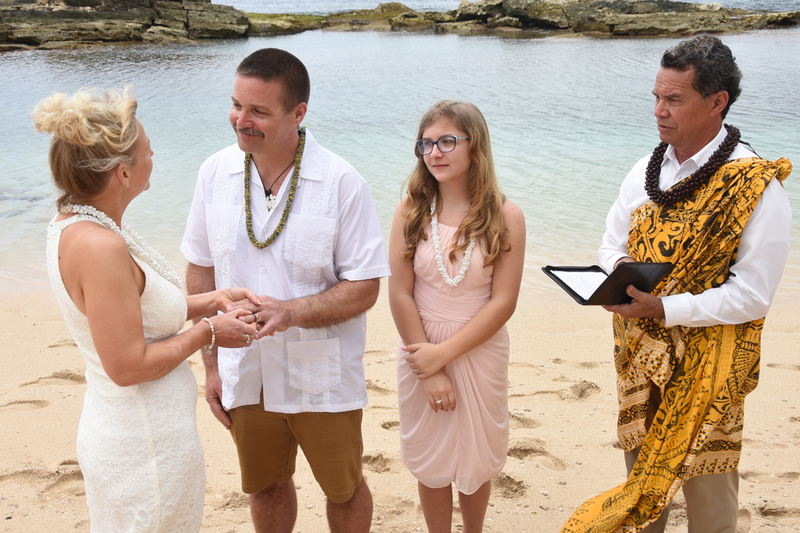 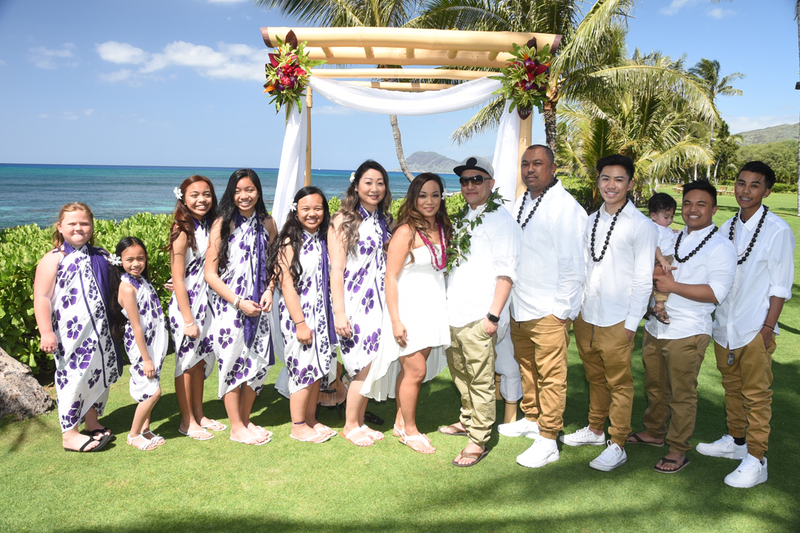 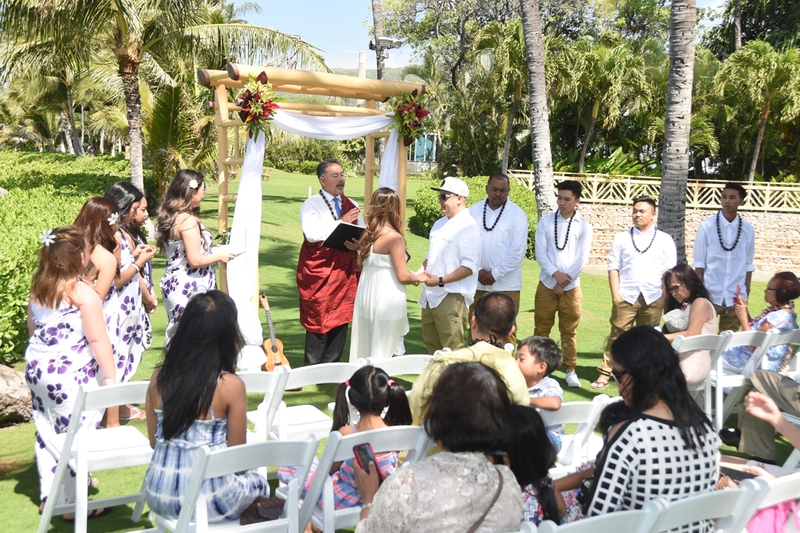 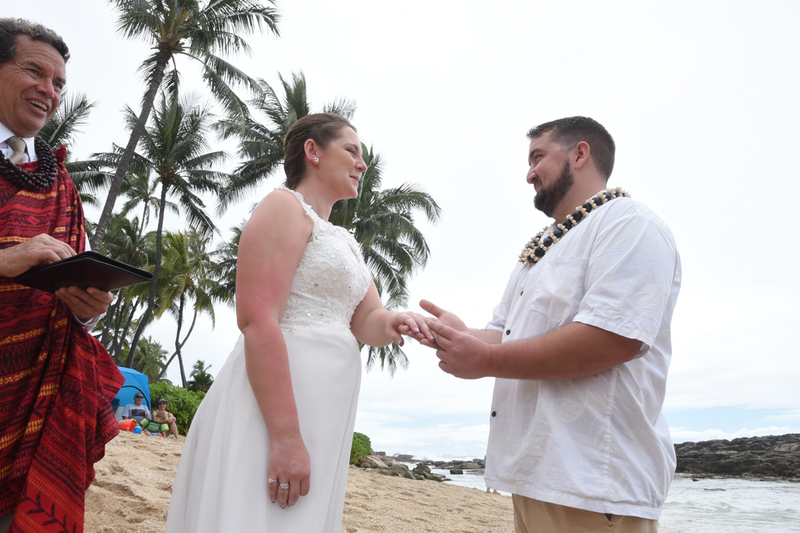 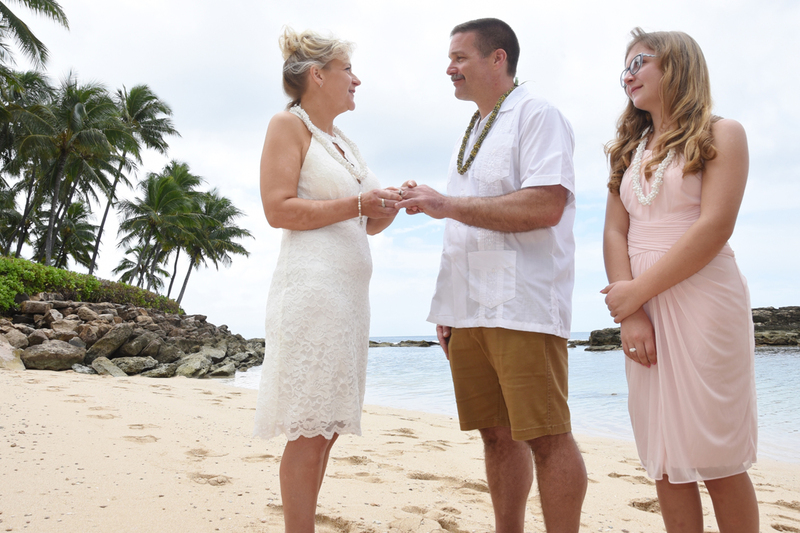 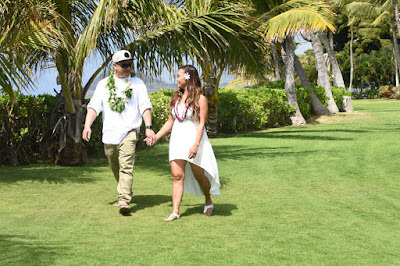 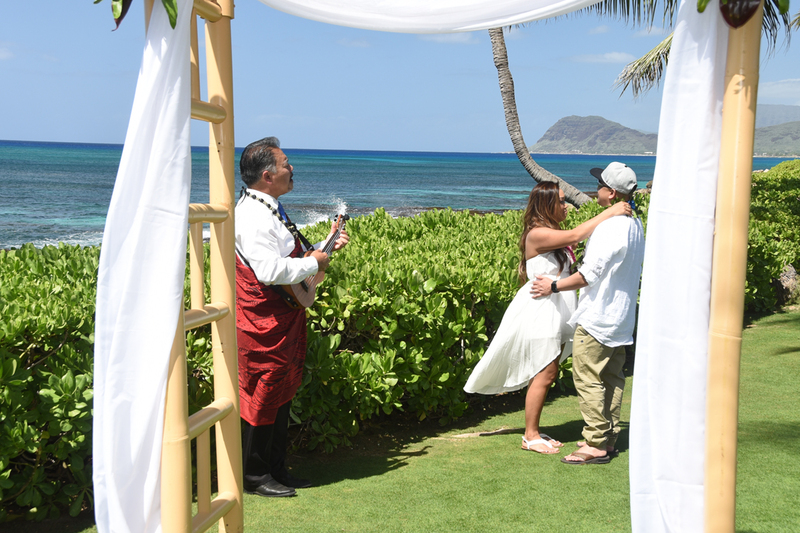 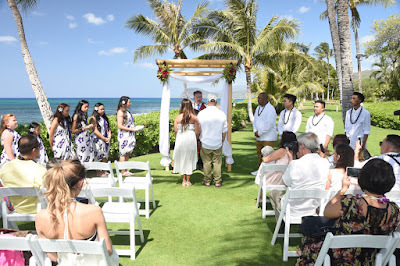 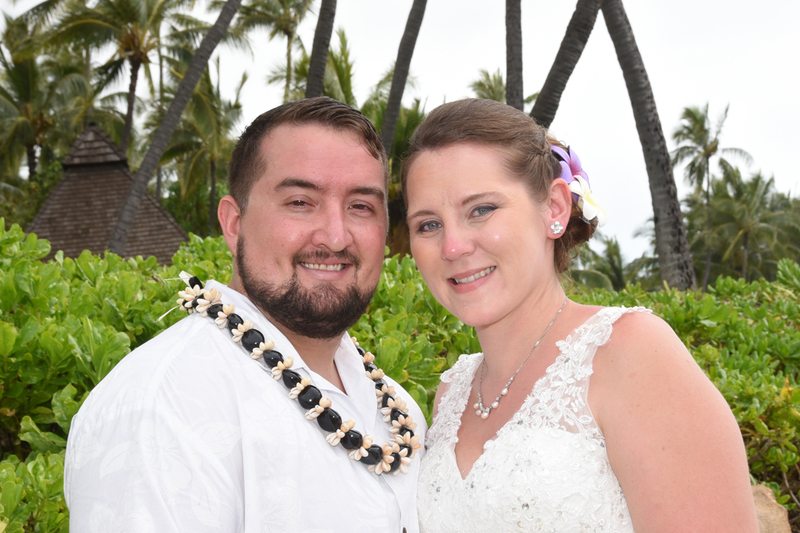 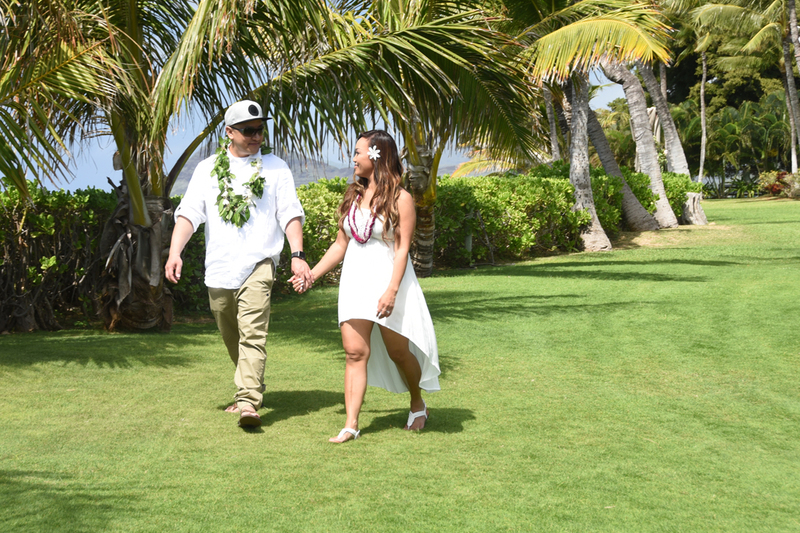 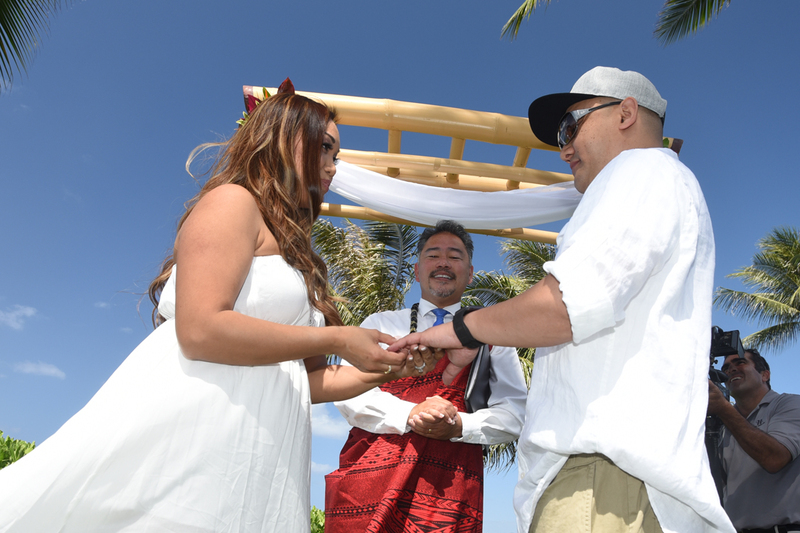 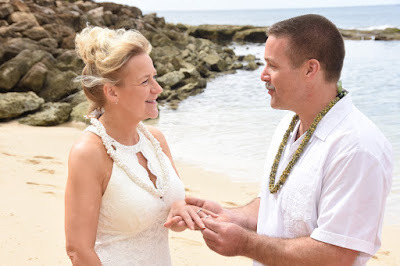 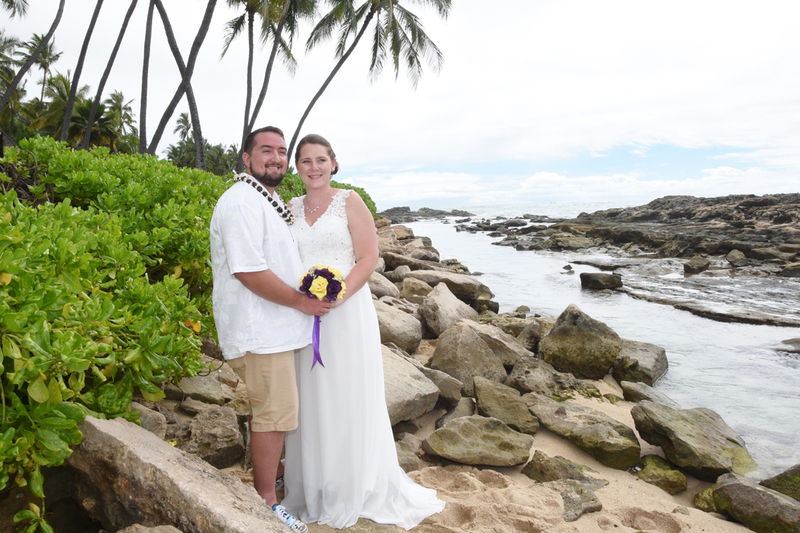 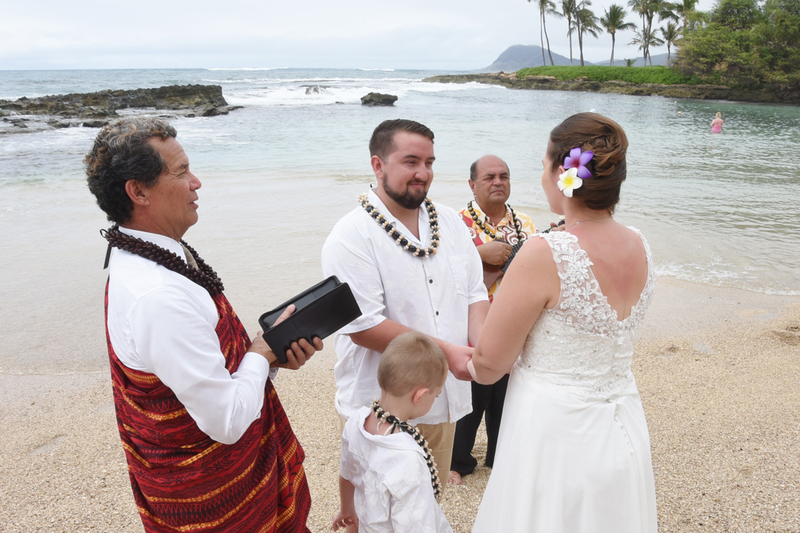 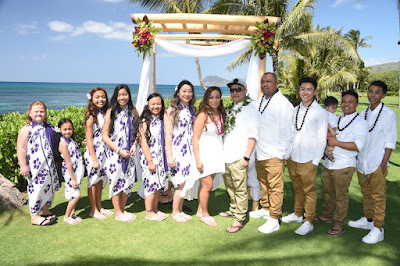 Vincent and Kristine renew their wedding vows at Lanikuhonua Beach (Ko Olina) with their daughter as witness. 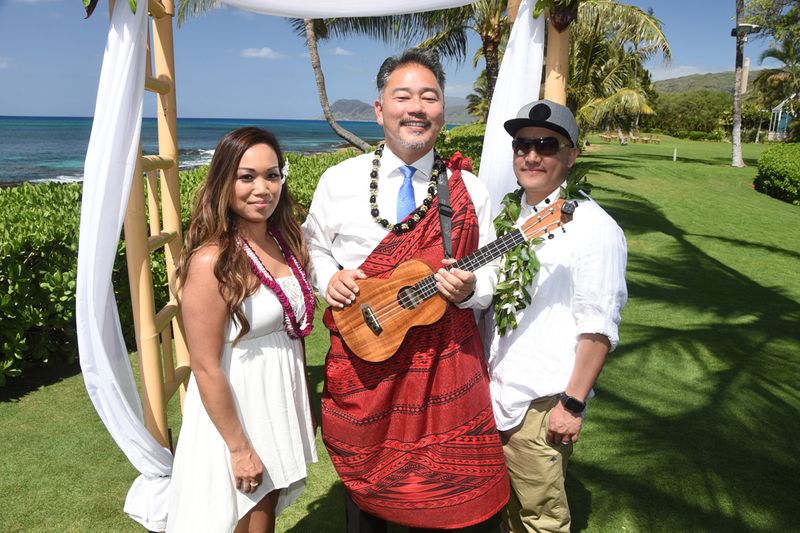 Bride and Groom dance to the music of the Hawaiian Ukulele behind a beautifully decorated bamboo wedding arch.